Jim Stoppani, PhD, is a leading voice in the fitness industry. You've read his articles, followed his trainers, and perhaps even tried his own supplement line. Now, you can learn Jim's own personal fitness regimen! 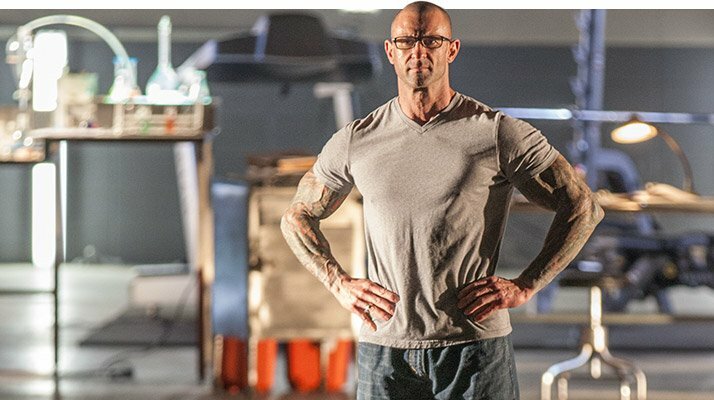 If you've spent any time looking for nutrition advice, training programs, or supplement research on Bodybuilding.com, you may have come across articles, quotations, or videos featuring Jim Stoppani, Ph.D. He's written a ton for various fitness magazines over the past-decade plus, but he does more than tap away at a keyboard. Hang out with the good doctor for more than a few hours, and he'll drag you to the gym for a balls-out workout. Sit down for lunch with him, and soon enough he'll drop a small bag of supplements next to this meal. He lives this stuff 24/7. Many of us have poured through his articles to see how we should train, eat and supp, but what's his plan? We decided to pull back and curtain and present the Jim Stoppani, Ph.D., Fitness 360. Check out Jim's personal training, nutrition, and supplement regimens. You'll find that not only does he follow the same advice he offers in his trainers and articles, he also proves that it works. Jim Stoppani, Ph.D., has to stay lean and mean for his busy schedule of photo and video shoots. Find out how he maintains his mass while staying trim! Dr. Jim Stoppani eats protein to build muscle and limits his carbs to stay lean. But that's just the beginning. Here's his full nutrition philosophy and meal plan! His column on our site is called "Ask The Supplement Guru" for a reason: He serves up trustworthy information. Find out how he supps every day! "Fitness has been my passion since I was 11 years old," says Jim. "I got into weight training because of my father's influence. He actually built a complete gym in our basement and brought home an issue of "Muscle & Fitness" for me to read." As a kid, Jim was more geek than freak. "I was reading articles about different muscle fiber types and metabolism, and things like that. I thought it was all pretty amazing." It was this early education and interest in the human body that shaped Jim's future career path. After he received his Ph.D. in exercise physiology, Jim went on to be a research fellow at the Yale University School of Medicine, where he won the Gatorade Beginning Investigator in Exercise Science Award in 2002. Despite his success as an academic, Jim felt that his true calling was the iron dungeon, not an ivory tower. "When Joe Weider asked me to be the senior science editor for "Muscle & Fitness," I decided to leave academia and serve a better purpose of bringing real information on training, nutrition, and supplementation to the world," says Jim. "I'm an educator. And that's really my goal. It's my responsibility to share the information that I've gained over the years in the lab, gym, and kitchen." "There's so much confusing information out there," explains Jim. "That's why I spend so much time on Twitter, answering questions. That's why I come up with so many programs and supplement and nutrition advice. It's because I want to produce products people can trust and know it will work." Jim's expertise ranges far beyond the pages of Bodybuilding.com. He's helped the Hollywood elite build their best bodies. "I've worked with is Chris Pine who plays Captain Kirk in the new "Star Trek" series. I started working with him because he needed to gain weight for his role. In about two months, we were able to add about 20 pounds of lean muscle." Jim also contributed to LL Cool J's book "LL Cool J's Platinum 360 Diet and Lifestyle." He's also worked with Dr. Dre who Jim says "is really intense with his training. He sticks with his diet and supps to a T."
"Many of these people who I work with are perfectionists—they're at the top of their game. What I help them do is take it to the next level. They already have a concept of how to train and how to diet—I just help them tweak it and perfect it so they look really amazing on stage, for photo shoots, or in movies." Intrigued? See how the man himself tackles fitness in his daily life.